From my neck of the woods near Portland, you look east to view Mt Hood. From the town of Hood River, where I visited this past weekend, you would look west. This is the view from the eastern side of the mountain, from one of the lavender fields we visited. I have reached 300 likes on Facebook! Thanks to everyone, and continue to share the love! "Like" Hood Photography on Facebook! Beautiful color of nature! Awesome shot. Glorious area you live in. What a spectacular field of lavender. Achoo! nice perspective - those are, of course, WAY west of here! I bet the air smells wonderful there! What fantastic contrast with the flowers and the gorgeous mountain!!! 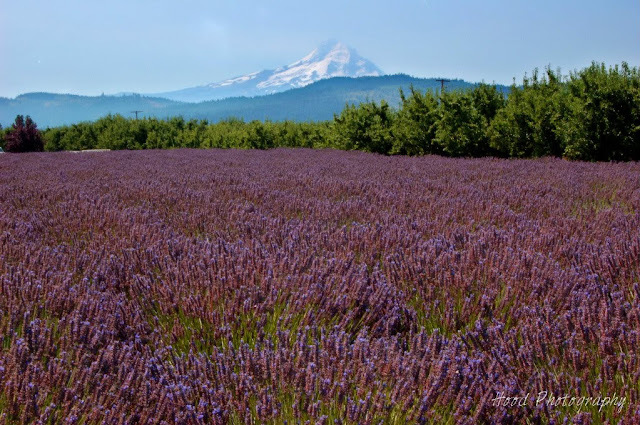 That glorious lavender plus the snow capped peak in the background create a gorgeous photo! Fabulous shot! I do love that area. So beautiful! You're making me miss being out is Oregon! Aah lavender fields - that's what I miss about the N. of Netherlands! Thanks for sharing! 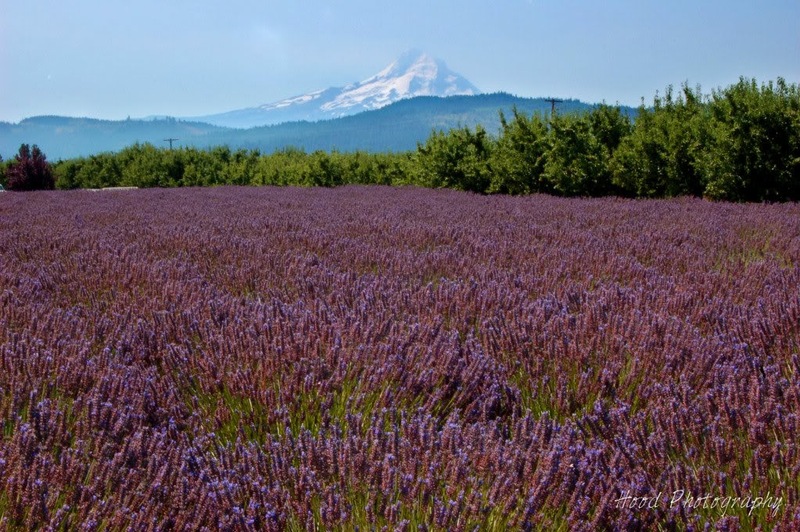 Lovely shot of the lavender and Mt Hood! Definitely an elegant view of a high elevation! Even more gorgeous with the lavendar fields! Oh wow, OMG Sarah, this is excellent! Six layers of different colors, a winner! What a striking photo--it's absolutely beautiful. This is beautiful. I love lavender! Oh, wow! I wish we had views like that. You live in a very beautiful place. Wonderful photo and thanks for the invite! Nice to meet you!